Note: These Steps will work on Failed Brick Paver, Stamped Concrete, and Decorative Concrete Sealers. Darken the appearance by giving a "wet" look. Can give a gloss appearance that ranges between satin to high gloss. Film on the surface somewhat instead of penetrating completely into the concrete. Moisture was trapped under sealer. Efflorescence (white salt deposits) was not removed prior to sealer application. Sealer used was low grade causing the acrylic in the sealer to blush white from the sun. Please stay away from sealers sold at Big Box Stores! A buildup of too many coats through the years or excessive over application. Use of a polymeric sand. This is actually the fault of these types of sand. 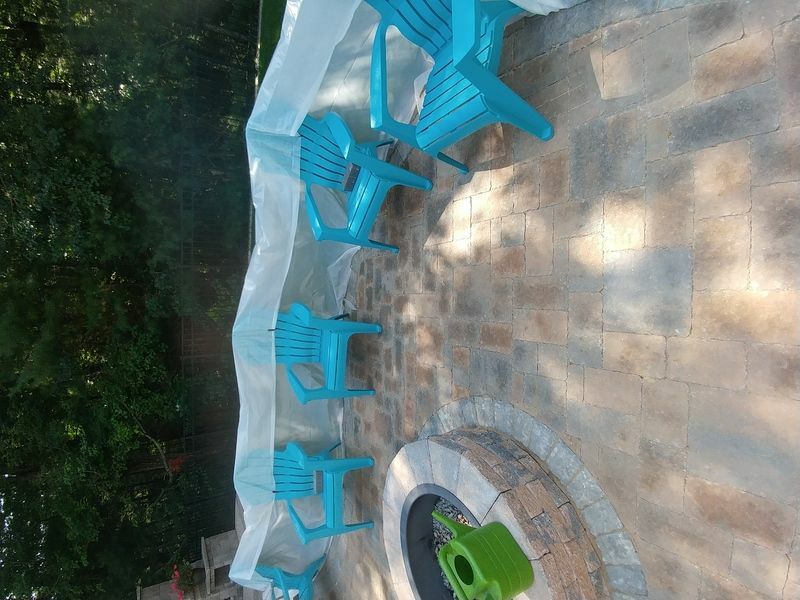 If you do not remove all the sand from the surface of the pavers, the sand can turn white under the paver sealer. 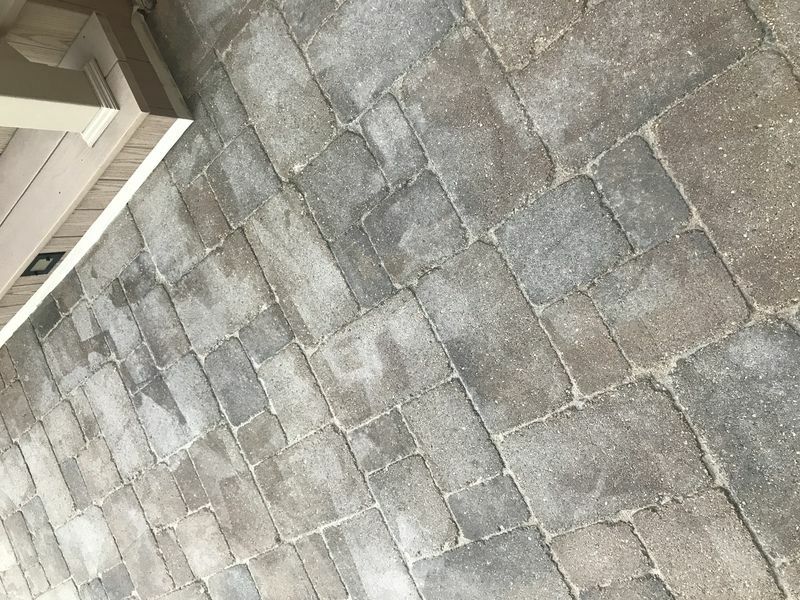 In many cases applying a solvent to the pavers will "reset" the sealer, making the white haze disappear. This usually works for trapped moisture and if you have sealer buildup. Unfortunately, if the white haze is from something else then you will need to strip off all of the old sealer and start over. This is not a fun process but it is better than replacing everything! 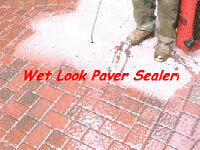 You will need to buy a brick paver sealer stripper. They typically cover 100-200 square feet per gallon. Cover all delicate shrubs, vegetation, furniture, etc. with plastic sheeting. Tape plastic sheeting to home if near area to be cleaned. Use protective clothing, gloves, and eyewear. The use of a charcoal filter respirator is suggested. Using a paint try and paint roller, apply the paver sealer stripper in a section of about 100 square feet. This stripper is very thick and applies like a paste. *If you apply too much stripper at one time you will run the risk of it drying before you get a chance to pressure wash. Wait about 10 minutes after applying the stripper then pressure wash off the old sealer. This can be messy as the sealer "peels" off in white pieces. Best to push this into the grass or dirt areas. Repeat steps 4 and 5 until completed. If needed spot strip any areas that did not come clean after the first attempt. If old sealer is excessively thick, you may need to repeat the entire process. 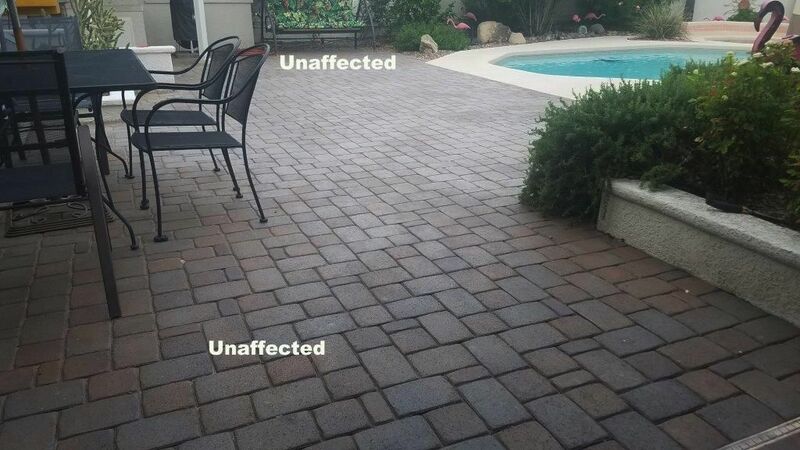 If you plan on resealing the pavers it is best to remove as much as possible of the old sealer. If you do not there is a strong chance that the "white haze" will come back in those areas. 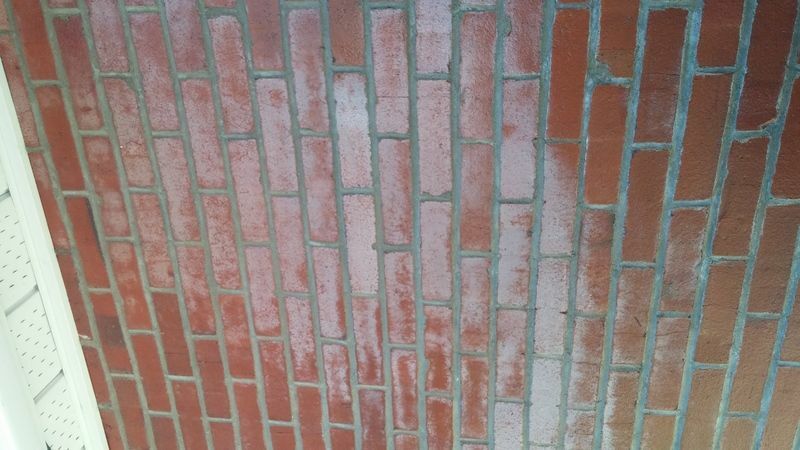 The Brick Paver Sealers we sell are not prone to discoloring when used on concrete that is free of any old sealers. Main reason is that they are all "breathable" sealers which greatly reduces any chance of the dreaded "white haze". If you have any questions please ask below. Depends on the brand you used? Pictures would help as well. Do you think this is a brick or a tile ? We stripped twice and are left with the haze. We do not want to reseal but want to keep it natural looking .what can we do to remove this white haze? If it is still old sealer, you will need to continue to strip it off. Hard to tell, but a little acetone tested on it cleaned it off like new. Is that ok to use? I assume these are brick pavers. They are like a tile. About 1.2 inch thick. Sure if it removes it. Those are brick pavers. Is this the same solution for bricks on a house? 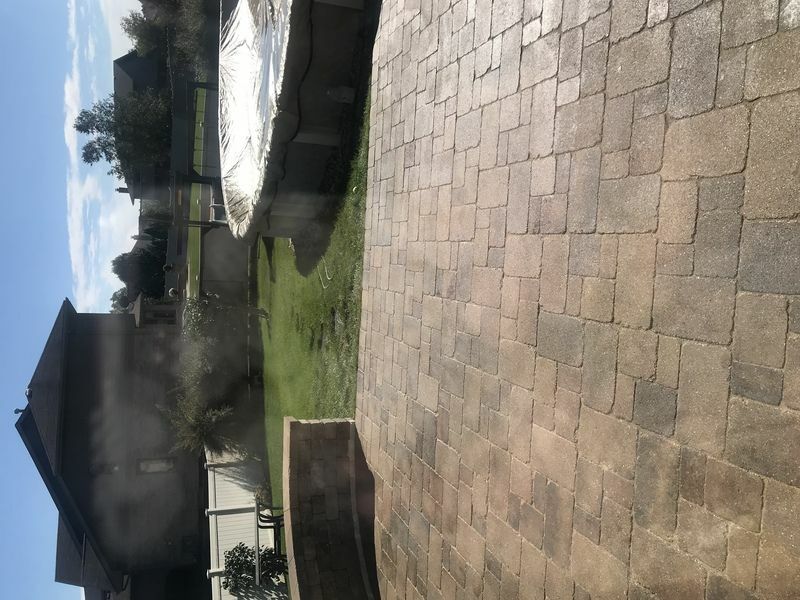 I had my house repointed, then had a water proofer/sealer applied to the whole house. In several areas it has turned milky white on the bricks and mortar and looks horrible. If you wet it, it temporarily fades away, but then comes right back. Sounds like applying the solvent might solve the problem? Help please! I did the same thing to my house and I can't find a product to remove the clear sealer I applied do you get yours off ? I have not - but Maximum Strength Deck Stripper by Thompson's was recommended. I am a little nervous to use it however, since it is not for masonry. No this will not work as it is not the same issue. Your issue is completely different. Unfortunately, we do not have anything that will work for this. It will need to be stripped to fix. Looks like it could be sand stuck to the top of the surface under the sealer. Ok, I planned on another coat but I didn't want to make it worse by putting more sealer on and further trapping in moisture. I've been in business 18 years, first time I have seen this and the first one where I didn't personally put down the sealer. So I could just need another coat. Howevere it stays wet like this for days. We have had a lot of rain and the sprinklers are on a lot. The grass outside the area is soaked. It may just need another coat as tumbled pavers are very porous. Do a test spot. FYI, you have to be careful of the surrounding areas and pool. You may want to hire it done. 1. Why might this have happened? 2. What sealer would you recommend after this is done? 3. Any recommendations for contracters in Tucson? Sun is bleaching the sealer. Try Supreme Shield SB-600 after removal. Not sure on contractors there. Had great success with Eagle Supreme Coat solvent-based sealer last year (after stripping off that awful Behr Wet look crap from HD. The sun and heat in AZ just punish any finish . . . . and so it lost much of its luster over the year. Cleaned and applied another coat of the same sealer in Early May . . . now half of the pavers have that same milky white surface (including one large section that never saw any of the old Behr product. . . I am frustrated with the whole thing. It's a lot of work and money to keep sealing and stripping pavers.... Please help!?? Can you recommend a company that can undo? Sorry, but we have no idea where you live. We do not know of anyone in your area. Sorry. Post a picture and let us know what sealer you used. 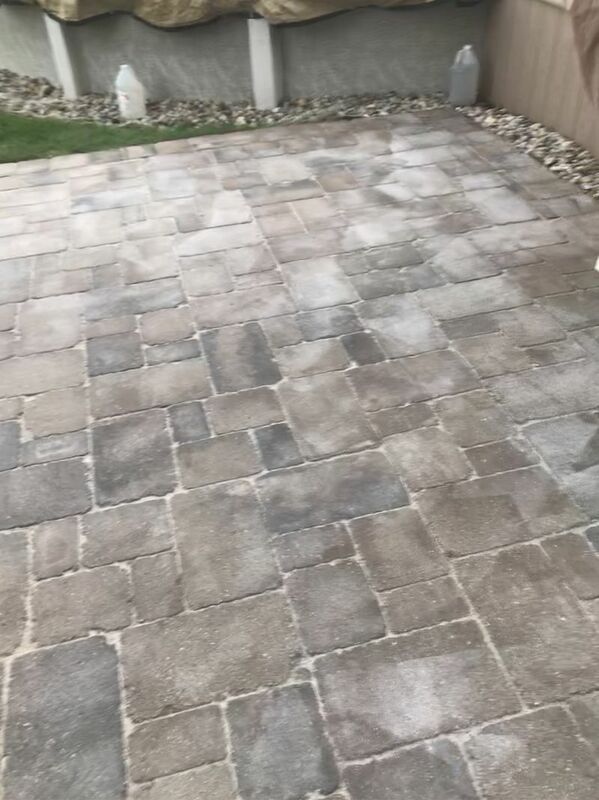 I applied a clear sealer on my new pavers, while most of the pavers looked wet and shiny a large section just looked hazy. What happened? I applied two layers a no change to the area that looked hazy. Can someone explain why this happened? And what now? There are many reasons for a white haze to happen so no way to say for certain what caused it. To fix, you will need to strip all and start over. 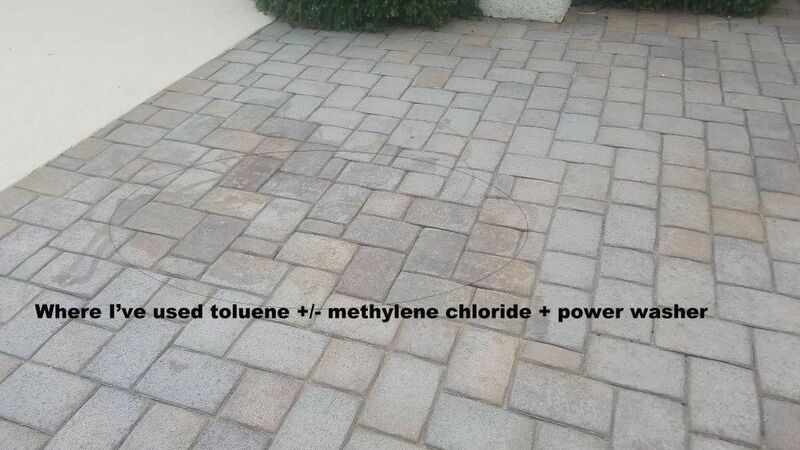 South Florida clay brick dry set patio w/ 2 cts xylene sealer turned hazy. 250 sq ft. do I use paint stripper (solvent type)? what is a good stripper to use? 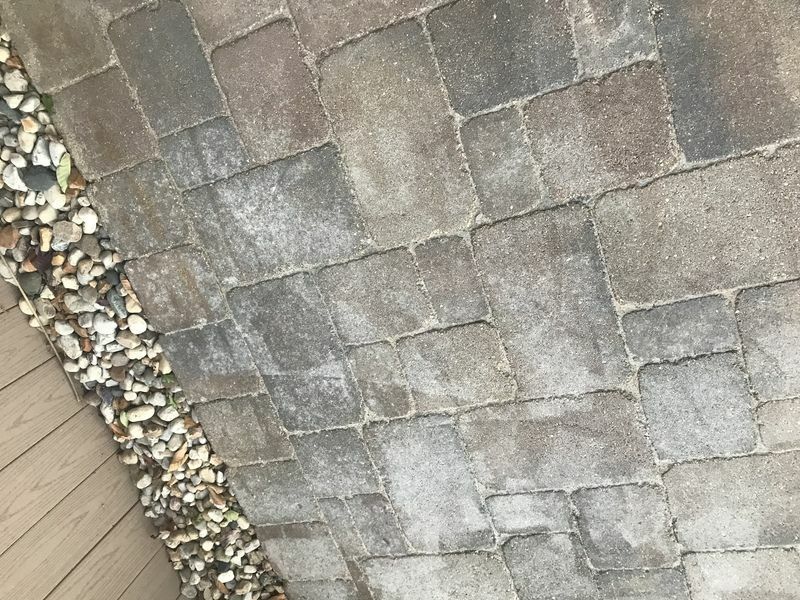 I flooded in 2016, I tried to clean my brick pavers and the sealer is peeling. What can I use to remove all the old sealer so I can reseal them?